WASHINGTON, D.C. (Jan. 31, 2018) – The National Association of Black Journalists (NABJ) announces the selection of Miami and Houston as convention host cities for the 2019 and 2021 NABJ Convention and Career Fairs, respectively. The final city selection follows a thorough process that is in alignment with a priority objective outlined in the NABJ Strategic Plan 2017-2020. Each year, the convention draws more than 3,000 attendees to participate in a five-day slate of career development programs, events and networking opportunities. The NABJ board of directors and staff conducted a formal, transparent and thorough process for convention city selection. At the forefront of consideration was NABJ’s financial and organizational sustainability, which resulted in a competitive process where interested cities presented formidable proposals through a Request for Proposal (RFP) process. NABJ engaged with 36 prospective cities and more than 100 hotels. Miami-Dade County Mayor Carlos A. Gimenez has confidence that NABJ’s favorable decision for Miami will result in success. “As Mayor of Miami-Dade County, I am delighted NABJ has selected our destination for its 2019 Convention and Career Fair. 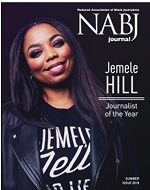 We look forward to welcoming the NABJ delegates to our vibrant, diverse, cosmopolitan community and are ready to make the 2019 NABJ Convention and Career Fair the most memorable and successful ever,” said Gimenez. The factors culminating in Miami and Houston’s successful bids enable NABJ to keep convention costs down, and they include competitive accommodation rates; workshop and exhibit space; concessions; city and regional support; local attractions; and travel accessibility, as well as the cultural and social fabric of these cities. Both cities also have vibrant NABJ affiliate chapters. Houston Mayor Sylvester Turner said the NABJ convention will significantly impact the city. Glover expressed enthusiasm over the entire process, and applauded the NABJ board members and staff for their due diligence. She also thanked all the cities that presented proposals, demonstrated interest and participated in the RFP process. 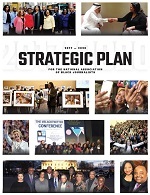 In 2015, the NABJ Board 2015-2017 embarked on the development of a strategic plan to strengthen the organization’s infrastructure and viability. The Strategic Plan Implementation Committee, chaired by NABJ Founder William Dilday, was formed with the task of advising the board of directors on execution of the plan. Among several priority areas outlined in the strategic plan is revising NABJ’s convention site selection process by establishing criteria for hosting conventions. In April 2017, the NABJ board of directors began the selection process by identifying 10 cities as key to future successful conventions, signaling to the hospitality and convention industries our vital selection framework. The formal convention site selection process that followed, resulted in a healthy and competitive process open to all cities as intended. The selection of Miami in 2019, and Houston in 2021, is the culmination and realization of this key objective in the NABJ Strategic Plan 2017-2020. NABJ has held its convention in Houston twice, in 1976 and 1993, and once in Miami, in 1987. Past NABJ Convention speakers include U. S. President George W. Bush; U. S. Senator Barack Obama; and Secretary of State Hillary Clinton. The city selections are not final until contracts have been negotiated and finalized.